The price of farm produce has significantly reduced as farmers are recording bumper harvests in Katsina State, Daily Trust reports. According to the report, several factors, such as complementary and composite demands of the produce have seen prices dwindle in recent weeks. For Sorghum, its price at between N16,000 and N18,000 by this time but this year, Daily Trust gathered that it costs as low as N9,000 due to the bumper harvest of maize and millet that are its direct substitutes. For Rice, abundant fertilizer and sufficient rainfall have resulted in a bumper harvest of the produce which made the price of locally milled rice to come down from N800 to N600 per measure while paddy rice was sold at N8,500 instead of N13,000 per bag. 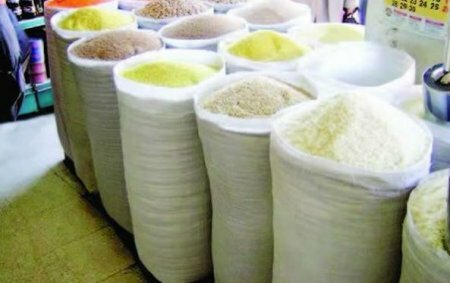 A local rice miller and seller at Bakori grains market, Malam Farouk Abdullahi, said but for buyers from Sokoto, Kebbi and Kano states, the price of local rice would have been much lower considering its mass production in the state. “The price of milled rice at N24,000 per 100Kg bag as against N32,000 some months back,” he said. For Millet, a merchant, said in the last fasting period, they sold 100Kg of millet at N18,000-N20,000.